Photo courtesy of Women Human Rights Defenders MENA Coalition. 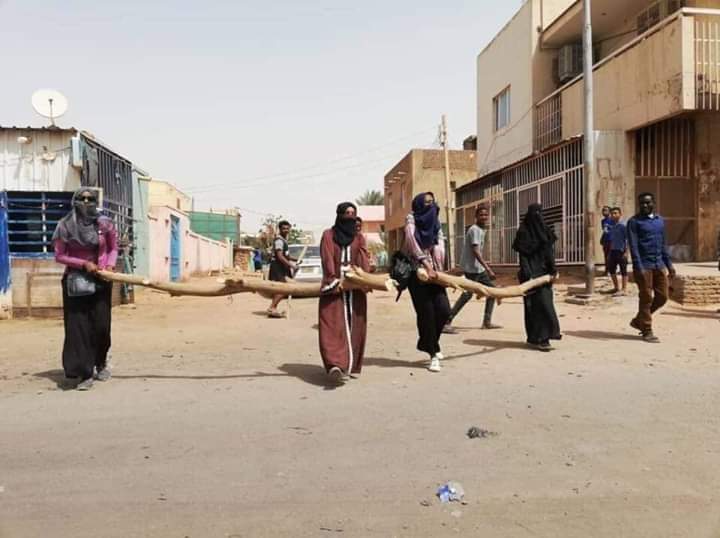 Women blocking roads at protest in Khartoum, Sudan 2019. | Photo courtesy of Women Human Rights Defenders MENA Coalition. 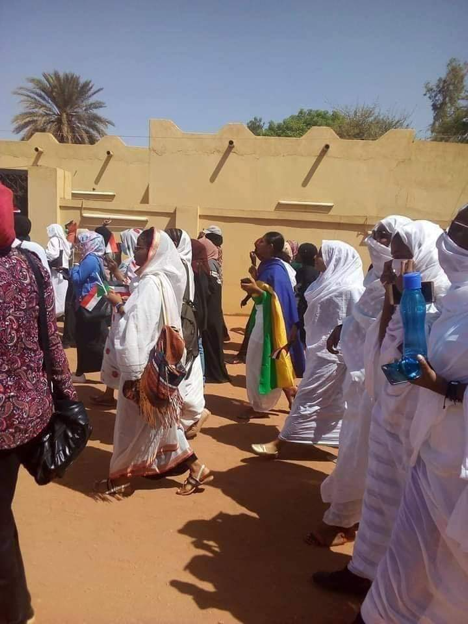 Women leading protests in Khartoum, Sudan 2019. 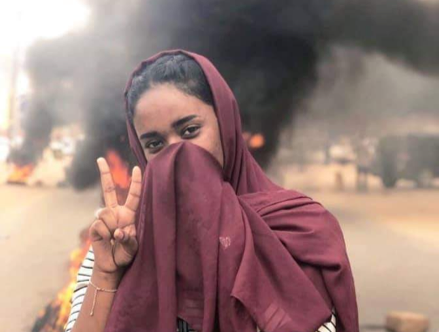 | Photo courtesy of Women Human Rights Defenders MENA Coalition.